G3 just started shippiing...here is a sampling of cards..in stock...more to follow. Last edited by semperfifishing; 04-22-2019 at 09:32 AM. Gil, any truth to the rumor the CMOR maps are going to be embedded in these? never heard that one. but they do have what garmin claims is the equivalent of cmor...high definition relief shading. will not work until a software update scheduled for april. and will only work with certain plotters. and, like cmor, coverage is spotty (most of their data are coming from the same gov't funded sources). Anybody using this yet? Worth the upgrade from g2? These G3 Vision units only became available yesterday...so it wil take a bit till some end user reports come back. Would love to see some screen shots of Pine Island Sound/Matlacha Pass in SWFL. Wanting to see the detail prior to purchase. Runnig g2 charts now. Dumb question of the day. I have the 1242xsv units on my boat (Thanks Gil!) with the G2 built in maps. Can I use the G3 Vision card before updating the built in maps to G3? (I have been waiting until all the bugs get worked out before using my free one time map update) Been reading that cards get locked to a specific unit/registration. So want to make sure I do things in the right order. The G3 Vison will work independently of the built in G2/G3....so you can stay where you are with the current built in...so yes you can add the Vision now..and update to the G3 built in much later..
Last edited by semperfifishing; 03-20-2019 at 02:46 PM. Any update when you will get SE Florida and Bahama VUS010R. I’d rather get it from you when I’m ready to purchase. Those are now in stock. PM me your email adress an dI will send you a Papal request. Shoeless - I believe he noted that he had the SE Florida on the first page. That’s the one I’m also considering purchasing. I have an 8610xsv and i'm very interested in the G3 Vision. I already have the G3 map in my unit, I just don't know if there is much bottom coverage in my area NC, VUS004R....Norfolk-Charleston or VUS512L.....Mid Atlantic. I guess i just hate to spend the money and not get any real benefit. Garmin really doesn't show much in the actual coverage of the map. 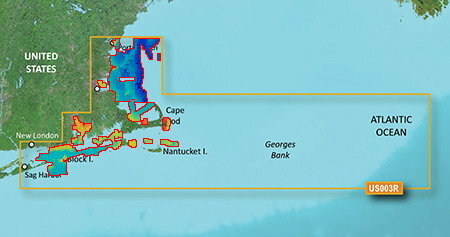 garmin shows which areas have the relief shading on their ‘coverage’ map. 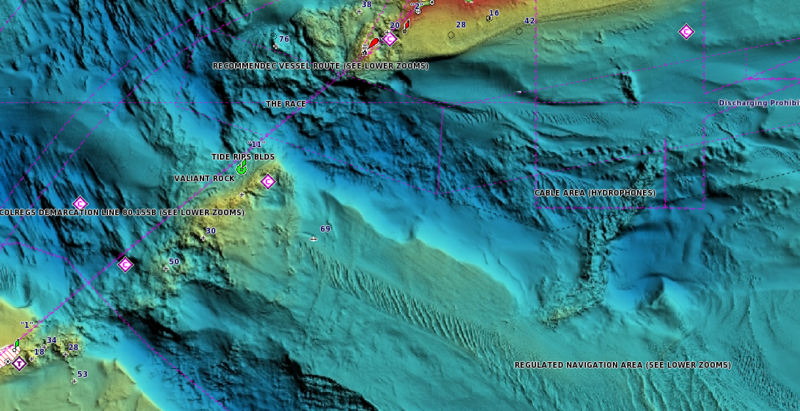 In addition to the relief shading there is also significantly improved bathymetric data for the area. You can email garmin and ask for a screen shot of specific areas to see what you’d be buying. I wonder if these cards are eligible for the rebate? Last edited by semperfifishing; 03-20-2019 at 02:45 PM. 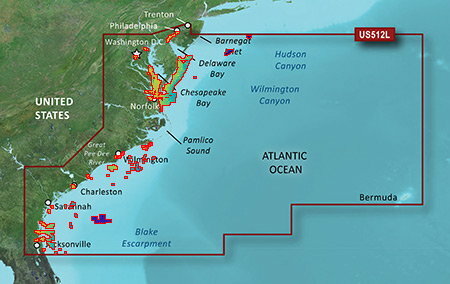 Is there somewhere to view the coverage for the mid-atlantic map (VUS512L)? So the HD relief shading is throughout that entire box or just certain areas within the box? Last edited by surf1729; 03-14-2019 at 12:02 PM. Garmin has very limited info out as of yet on their website. It would be nice to see some interactive links etc. I received my Card's today ( Thanks Gil) and will try them out his weekend..but I do not expect to see the full features unitl after the software update in April. Last edited by ljid; 03-14-2019 at 12:55 PM.